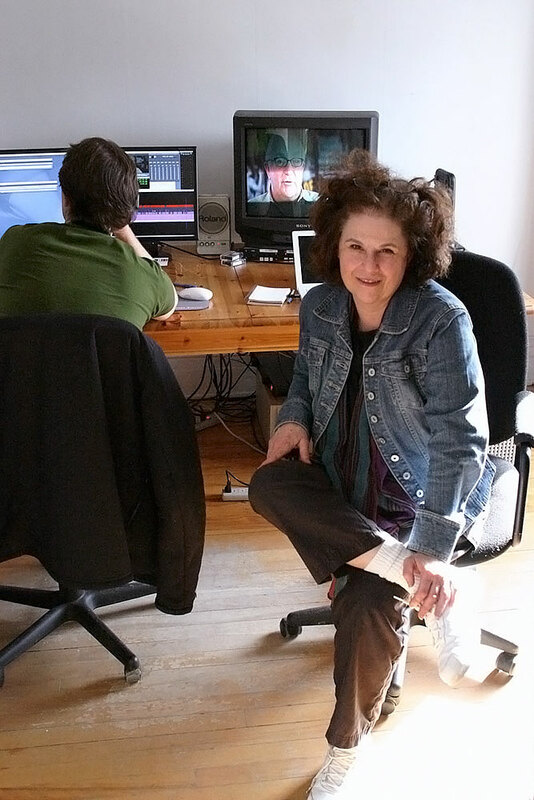 Irene Angelico is an acclaimed film director, producer and writer. She is the recepient of numerous international awards for directing and producing, as well as a Gemini for best writng in a doumentary. Her work was included in The Fifty Greatest Documentaries of all Times at the NFB’s international Salute to the Documentary, and selected to represent the best of the NFB’s Studio D at retrospectives in London and France. She was the first woman from Quebec selected for Women in the Director’s Chair in Banff and is the founding chair of CIFC-Montreal (now DOC Quebec). She is presently chair of Magnus Opus, a monthly program presenting the world’s best documentaries. In 1980, Angelico and her husband and partner Abbey Neidik formed DLI Productions. Together they produced and directed Dark Lullabies about the effects of the Holocaust on the next generation of Germans and Jews. This highly regarded film continues to be shown worldwide and has garnered many prestigious international prizes and will be featured at the Stratford Shakespeare Festival this summer. Currently, Angelico is in distribution with Shekinah: the Intimate Lives of Hasidic Women, co-producing SpaceRace 2 about the next great turning point in human history. She is also in development with Reaching for Zion, the untold story of Rastas and Jews and Mirror Mirror, a visual poem about reflections. Along with her work in film, Angelico has been involved in the publication of two books. With Abbey Neidik and Mark Pendegrast, she edited The Aftermath: A Survivor’s Odyssey Through War-Torn Europe, the manuscript written by her father, which was the inspiration for Dark Lullabies. The Aftermath was endorsed by Nobel Peace Prize Laureates Elie Wiesel and the Dalai Lama. This year, Angelico and Yehudi Lindeman launched The Third Seder: A Haggadah for Yom HaShoah. Twenty-five years in the making, The Third Seder includes new rituals they created uniquely for the commemoration of Yom HaShoah. Dark Lullabies shown at retrospectives in London and France. A visual documentary poem about reflections. A three-part series about the history and social impact of coffee and the specialty movement. Broadcasts: TVO (Canada), TéléQiébeck (Canada) PBS (US), National Geographic International, National Geographic US, Knowledge Network (Canada), TFO (Canada), Historian (Canada), Dirt (Denmark), YLE (Finland), Swiss TV, Israeli TV. Broadcasts: Vision TV (Canada 2005), Télé-Québec (Canada 2006), Knowledge Network (Canada 2006), ACCESS (Canada 2006), Turkish Television (2006), Documentary Channel (Canada 2007). The Journey Home: A Romanian Adoption (2000). A one-hour documentary following an adoptive Canadian family going back to Romania. The Cola Conquest; A Trilogy (1998). The Love Prophet and the Children of God (1998). Entre Solitudes / Between Solitudes (1992). Dark Lullabies / Berceuse pour des Ombres (1985). Broadcasts: CBC (Canada 1986) Télé-Québec (Canada 1986) ZDF (Germany 1986) PBS (United States 1987) NHK (Japan, 1987), ABC (Australia 1987), MTV3 (Finland 1987); numerous other stations throughout the world.